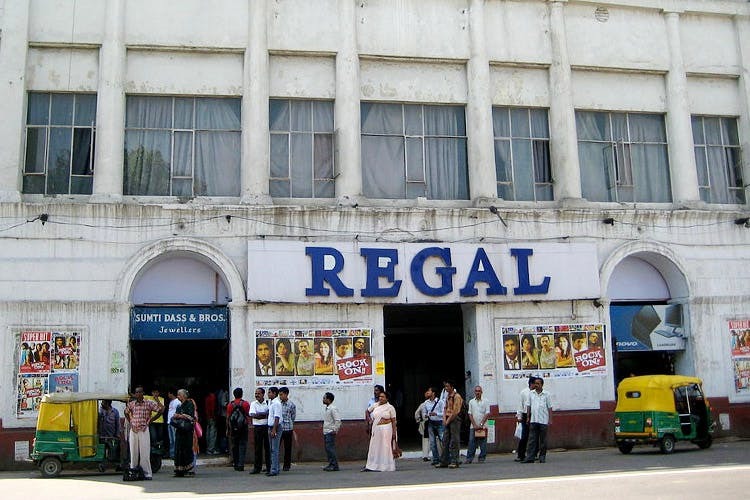 After almost 84 years, Regal cinema in Connaught Place is shutting shop for good. We were so disheartened with this news. It is like a piece of history being snatched from our city! Back in the day, Regal was an elite cultural club, for all the sahibs and memsahibs to watch ballets and plays and sometime later, it became an epitome of cinematic experience in the country. It featured blockbuster previews with film stars strolling in for their movies. Even for us or our parents, growing up, it would always be a snack at Wenger’s, coffee at Keventers and a movie at Regal. Today Regal is not much thought of in light of new multiplexes have come in to town with their fast paced technologies but we’ll always fondly remember this timeless piece of architecture, bang in the middle of Central Delhi. Regal will officially shut its door after the last show of Anushka Sharma’s movie, Phillauri. We wonder what’s going to come up at this archaic spot.